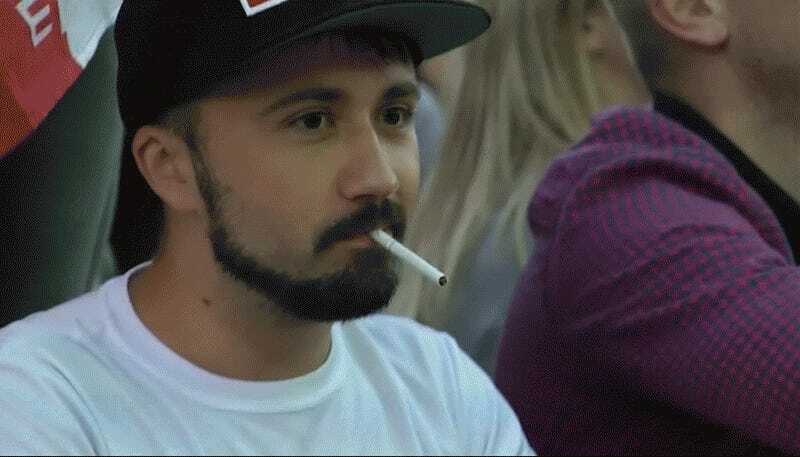 Is this guy at today’s Iran-Spain match using a damn wallet to light his cig? Why yes, he is. It must be one of those magic flame wallets. No, seriously, they exist.